Family-friendly places like Sea World Theme Park and Currumbin Wildlife Sanctuary will thrill your kids. 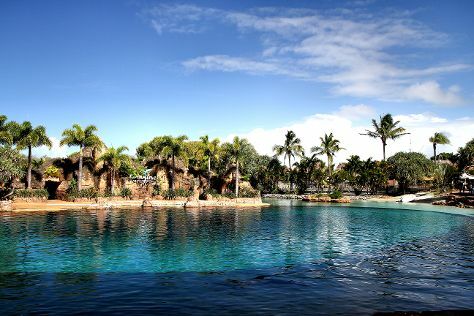 You'll find plenty of places to visit near Brisbane: Dreamworld (in Coomera), Australia Zoo (in Beerwah) and Warner Bros. Movie World (in Oxenford). There's still lots to do: take in nature's colorful creations at City Botanic Gardens, try out the rides at Wheel of Brisbane, admire all the interesting features of Suncorp Stadium, and head outdoors with Pelican Feeding. To see more things to do, other places to visit, traveler tips, and tourist information, read our Brisbane trip planner . In April in Brisbane, expect temperatures between 30°C during the day and 19°C at night. Wrap up your sightseeing on the 25th (Thu) to allow time to travel back home.